Calling The Island a unique venue is a gross understatement. 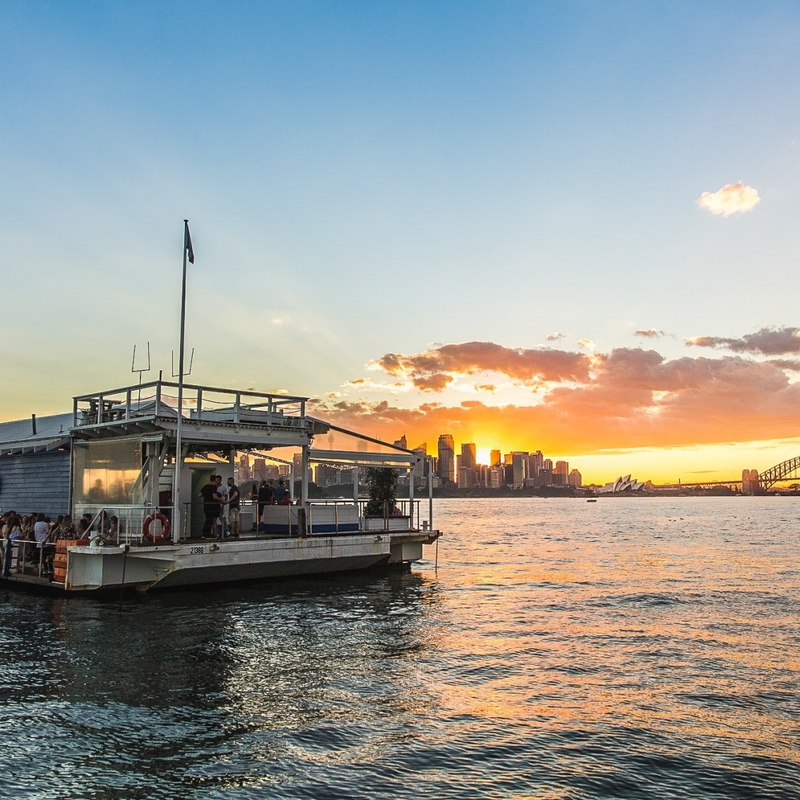 It’s a floating club that holds the distinction of bringing the sophisticated but exuberant atmosphere of a European beach club to the iconic Sydney Harbour. Since 2011 The Island has been delivering a luxury 5-star experience to its club members and the guests of the many private events held there. If you are not already a member of The Island, getting a coveted ticket to an event requires an online purchase and a little luck. Prospective members are invited to request access to the ticketing section of the venue’s website. Membership requests are then queued for approval. While The Island is accessible year round for private and corporate event bookings, it is only open as a public venue between September and May. The Island boasts newly installed VIP booths, a fully licensed cocktail bar, a sea pool in the harbour and a state of the art DJ and sound system among many other unique amenities. It can accommodate 70 guests for formal dining or buffet style dinners and up to 200 persons for cocktail parties. With the ability to moor at various destinations around Sydney Harbour, The Island can offer stunning views to go along with their first class service. This makes it an enviable location for weddings, cooperate functions or even milestone birthdays. So if the prospect of partying in luxury with glorious views of Sydney Harbour in the background interest you, get in line to request membership at https://theislandsydney.com.au/register/ or book your next event by going to https://theislandsydney.com.au/about/exclusive-bookings/. Transport to the Island is available by water taxi which departs Double Bay Wharf. Transport from Taronga Zoo can be arranged with the venue via e-mail.